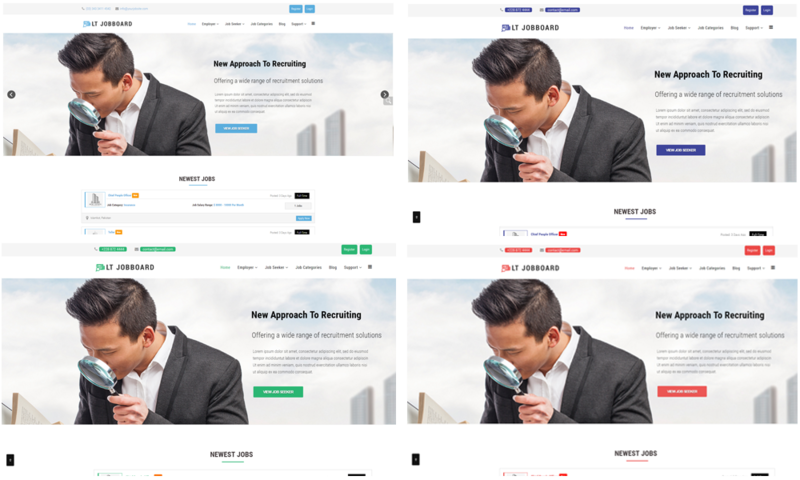 The Job Portal template that is leading in hunting facilitates job and range from large-scale generalist sites to niche job boards for job categories! 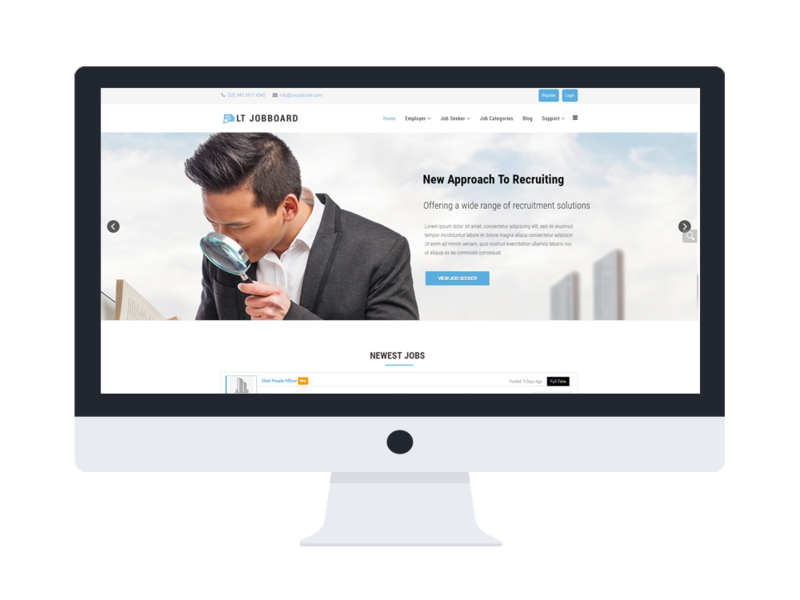 LT Jobboard is a Job posting template which is intended for all kinds of recruitment Joomla websites. 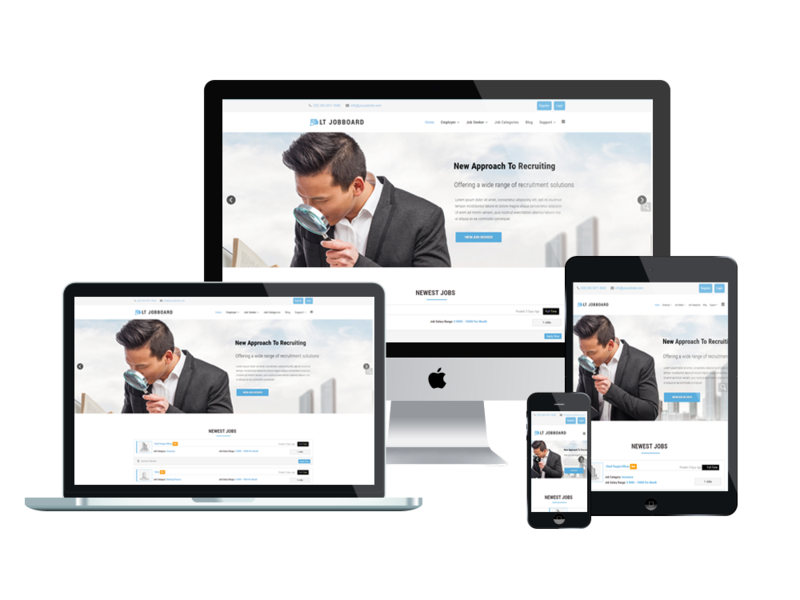 This useful template is well developed on strong framework with fully bootstrap under 100% responsive layout (support for mobile devices), powerful shortcodes, unlimited position and 4 color styles to create a gorgeous outlook for your website. Especially, LT Jobboard is also integrated with a unique extension for recruitment that is JS Jobs, which allows you to run your own, unique jobs classifieds service where you or employer can advertise their jobs and job seekers can upload their Resumes. You can use this template to apply for all fields such as IT, politic, insurance, accounting, kinds of service and marketing. Besides, candidates can deposit their resumes and submit them to potential employers and recruiters for reviewing, while employers and recruiters can post job ads and search for potential candidates. 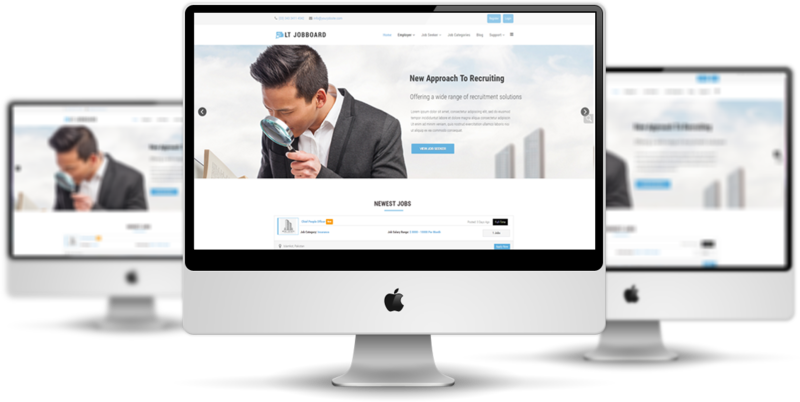 Let’s make your job portal site more attractive and efficient than it was with LT Jobboard now! Version: 1.0 | Joomla! Support: 3.6.x | Job board features based on JS Job extension.